Everyone is super busy these days … just wanted to send you one last reminder that this is your last chance to apply for a complimentary — no cost, it’s my treat — 1:1 Angel Guide Connection Breakthrough Session with me. The deadline to apply — if you haven’t already applied — is tonight at midnight. This is where you have an opportunity to get my personal support to help you stop struggling with trying to balance your daily life and your desire to connect with your Angel Guides to live your purpose with prosperity and abundance. 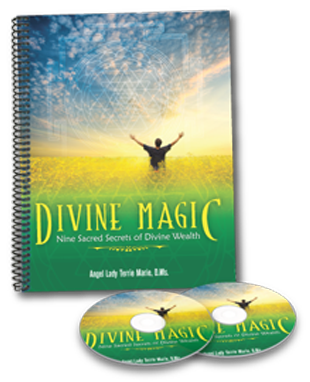 * Discover what is sub-consciously sabotaging you from connecting with your Angel Guides and living your purpose with prosperity and abundance. *Create a clear plan that describes in detail the steps you need to take to help you evolve along your Life Purpose and clear obstacles to connecting with your Angel Guides. *The one simple step you can take immediately to get that jumpstart that moves you past the masses of women and men who are struggling trying to figure it all out on their own. If you’re ready to stop struggling and start connecting with your Angel Guides in simple “Down to Earth” ways that work for you instead of against you, then stop and take a few minutes to apply for one of these 10 spots — if you have already applied, thank you! If you haven’t and want one of these limited spots … what are you “waiting” for? The perfect time will never arrive and just may pass you completely by. NOTE: You must answer ALL the questions to be considered for this gift breakthrough session. Any applications that have missing information will not be considered, they will be deleted. So if you really want one of these sessions, take a few minutes to answer all the questions. That’s really the first step in connecting with your Angel Guides and your inner intuitive-self. You’ll get clarity about where you are, where you aren’t and what’s potentially blocking your Spiritual Path, connecting with your Angel Guides, living your purpose with of prosperity and abundance. #1 – What is your name and tell me a little bit about your dreams and goals …. What do you want to do with your life? #2 – When it comes to understanding your Life Purpose, what are your three biggest challenges? #3 – When it comes to connecting with your Angel Guides, what do feel blocks you from getting the messages and guidance you ask for? #4 – On a scale of 1 through 10 (10 being the highest), how important it is for you to get these solved? #5 – Why do you want to get these solved? #6 – What is the #1 obstacle that’s stopping you from solving these challenges? #7 – What would you like your life to be like in 6 months? In 12 months? I will personally contact you by phone (within the US) or email by Saturday, January 30th to let you know if you are receiving one of these 10 spots. Remember … to take advantage of this complimentary Angel Guide Connection Breakthrough Session, answer all the questions and send them directly to me at TerrieMarie@AngelDreamTeam.com I’ll let you know if you get one of these breakthrough sessions. PS … This is it today at midnight is the deadline … your application must be in my in-box and time stamped no later than midnight tonight to be considered for one of the remaining spots. If you want a complimentary breakthrough session, ALL the questions and send them directly to me at TerrieMarie@AngelDreamTeam.com before time slips away from you. It’s the only way to get my personal help on how to stop struggling and start connecting with your Angel Guides in simple “Down to Earth” ways that work for you instead of against you. PPS … If you have received a complimentary 1:1 session in the last 120 days (August – December) … please honor others by giving them a chance for one of these spots. Thank you for honoring my request to give others an opportunity to receive 1:1 with me. Did you get the email I sent to you a few days ago that I would be opening 10 spots to get my help — by invitation only — 30 minute Angel Guide Connection Breakthrough Sessions? This is the day to apply. Even though it’s simple, waiting could cause you to not get one of these limited spots. I am only considering applications between now and Midnight January 28th. *Discover what is sub-consciously sabotaging you from connecting with your Angel Guides and living your purpose with prosperity and abundance. #6 – What is the #1 obstacle that’s stopping you from getting the clarity you want in your life and solving these challenges? I will personally contact you by phone (within the US) or email by Saturday, December 30th to let you know if you are receiving one of these 10 spots. PS … Just in case you skipped down to the bottom … there are only 10 spots for these complimentary Angel Guide Connection Breakthrough Sessions … if you want to be considered, you’ll need to apply … all you have to do is click on the “reply” button and answer all the questions between now and midnight, December 28th. PPS … If you have received a complimentary 1:1 coaching or mentoring session in the last 120 days (August – December) … please honor others by giving them a chance for one of these spots. Thank you for honoring my request to give others an opportunity to receive 1:1 with me. It’s Terrie Marie the Angel Lady and I’ve been thinking about you and wondering how you are doing with the connection you have with your Angel Guides. So many people, maybe even someone you know, is struggling with trying to balance their daily life and desire to connect with their Angel Guides. It pulls at my heart-center that so many truly amazing women and men are struggling because the solution to solving their biggest block or obstacle is right at their fingertips. I “asked” my Angel Guides how to be of service that would give you a jumpstart to solve this and help you bring more balance into your life. The guidance I received is to open 10 spots to coach with me — at no cost, this is my gift — for 30 minutes. It’s my Angel Guide Connection Breakthrough Sessions. Here’s the thing, with only 10 spots open, these are going to fill-up quickly. And to be considered you’ll need to apply right away. *Create a clear plan that describes in detail the steps you need to take to help you sprint forward along your Spiritual Path and clear obstacles to connecting with your Angel Guides. #1 – Tuesday, January 26th, you’ll receive a personal invitation from me. All you need to do is — if you want a spot — open the email, click on “reply” and answer a few short questions. That’s it! #2 – The deadline to apply is midnight, Thursday, January 28th. If you want to be one of the lucky 10, click “reply” right away when you see your email invitation. #3 – I’ll let you know by Saturday, January 30th if you get one of these 10 spots. I really hope YOU do! But … there’s only way to find out for sure and that’s to apply right away when your email invitation arrives from me to you, in your in-box on Tuesday. Be sure to watch for your special invitation … let’s connect soon … yes? PS … Remember to mark your calendar today because Tuesday, January 26th, is the day you’ll be receiving your personal invitation to apply for one of these 10 ten Angel Guide Connection Breakthrough Sessions … it’s my gift to you. It’s Terrie Marie. I’ve been thinking about you and wondering how you are doing with your Spiritual Path. So many people, maybe even someone you know, is struggling with trying to balance their Spiritual Path, life and desire to connect with Angels. It breaks my heart that so many are struggling because the solution is right at their fingertips. I “asked” my Angels how to be of service that would give you a jump-start to solve this and help you bring more balance into your life. It’s my Spiritual Path Breakthrough Sessions. 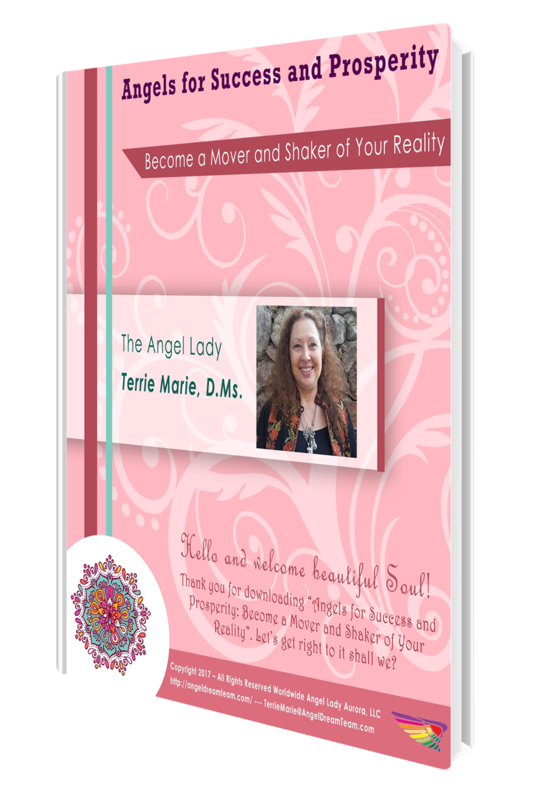 *Create a clear plan that describes in detail the steps you need to take to help you evolve along your Spiritual Path and clear obstacles to connecting with your Angel Guides. #1 – Sunday, September 27th, you’ll receive a personal invitation from me. All you need to do is — if you want a spot — open the email, click on “reply” and answer a few short questions. That’s it! #2 – The deadline to apply is midnight, Wednesday September 30th. So please click “reply” right away when you see your email invitation. #3 – I’ll let you know right after Friday, October 2nd if you get one of these 10 spots. I really hope YOU do! But … there’s only way to find out for sure and that’s to apply right away when your email invitation arrives from me to you, in your in-box on Sunday. When “shift happens” then what? I have done all of those things more than once and it wasn’t pretty! When you decide to start on your Spiritual Path, there are so many issues that come to the surface for healing and releasing. It’s also about surrendering in trust and faith, giving up fear and doubt. When “shift happens” you have a choice of going backwards where it’s safe or taking a deep breath and take a leap of faith into the unknown. That’s what is happening for me this summer … intense transition and transformation … taking consistent, massive action is what makes “shift happen” in every area of your life. Summer is a good time to re-evaluate your programs, who you are attracting, the path you are on and of course your fee structure. I want to work with more women and men who want to make a huge impact in their life, the lives of their families and clients AND who want to get their message out in a bigger, more powerful way because they are tired, frustrated and down-right finished running that “whoa is me” wall that stops 80% of the world’s population. It’s all about tapping into your inner-intuitive guidance and being willing to take a risk on you to create your life and business your way. Shift is happening all around us every moment of every day. The big question is … are you “shifting within” or are you listening to all those negative “whoa is me” messages in your head, courtesy of Ego-chitter chatter? My Angelic Board of Directors, my Angel Dream Team, has been guiding me to blend my business expertise and my Spiritual Path. This is how or why the SpiritualPreneur Summit and eventually the online magazine are a part of my path. I am making a huge leap and re-evaluating my own financial structure and I want to give you a hand-up. Beginning July 21st — that’s just 11 days from today — my fees are going up by 70%. My coach thinks I’m crazy for NOT doubling my fees because he knows the transformational value that my clients can and do achieve working with me. When you step-up, showing-up more powerfully for you, your business, you’re honoring you and your dream of financial freedom … AND … creating space for your community to do the same. It is about increasing your capacity to become consciously aware of the limitless opportunities all around us. This is just a sliver of what I teach my high-end clients — awareness of core issues keeping them from achieving financial goals — and how to harness their internal power to create a more prosperous and reality for themselves and their families. Everyone grew up with hearing how bad having a lot of money is. there’s a new TV show filled with negative role models both rich and not-at-all rich alike. I had to turn it off it was so vile! Money is a form of energy. Money is power. When you control your own financial destiny, you have the power to re-write your current reality. Whether you’ve been a part of this online community for a while or you’re fairly new, it’s no secret I’m all about energy … channeling it … shifting it … purging it and re-defining it in ways that support you, your dreams and your path . What I do for you, I do first for myself. It’s not to walk your talk. You must step-up into the fullness of the person you crave to be and talk your walk. And because I talk my walk, I’ll feel energetically out of balance if I do not get compensated at the level that is congruent with the life-altering possibilities you can create for yourself. Here’s your personal invitation for a Complimentary Exploration Session. Click here now to get started. Like I said earlier I am giving you a hand-up … my fees remain where they are for the next 11 days. AND … I’m accepting a limited number of students into the exclusive Angel Dream Team Coach Certification program. The investment for this six-month 1:1 intensive goes up significantly starting July 21st. Before the “whoa is me story” starts with all the reasons why you can’t … where else can you “buy into” a Franchise Business opportunity that helps you see and take advantage of your unlimited potential? Oh yes … there are payment programs to help those who are ready to take a risk on themselves and their dreams and accept the hand-up they are being offered. These prices are no “drop in the bucket” I totally get that so to be sure this is the right fit for you — our working together — click here for your 1:1 Complimentary Exploration Session and I’ll happily answer ALL your questions like what can happen for you. … once upon a time my life changed. That’s not true … it was literally turned up-sdie down and twisted inside-out beyond recognition. One Wednesday afternoon 5 years ago, I was facing a very uncertain future. Thankfully, there was little time to fall-apart. Instead I chose to embrace the extra day off from my day job to get ready for a trip I was taking in 2 days. Six weeks earlier I agreed to be a vendor at a new age fair in Odessa, Texas which was a half-day journey East of El Paso. So on July 30, 2010, I set out a new adventure as a full-time entrepreneur. After I arrived in Odessa, checked-in to the hotel, the next step was to unload my “packed to the brim” car and set-up my booth of oils, bath salts, lotions and crystals. During that weekend I focused only on being at the new age fair. I hadn’t even told my parents that I was on my own after working for a Federal Agency for more than 9 years. It could wait, really didn’t want them worrying about me more than they already were traveling by myself. I was away from home, family and friends facing an uncertain future … and … that Sunday was my birthday. The fair organizers found out it was my birthday and managed to have all the readers and vendors sign a card and gave it to me on Sunday, August 1st … I was born on a Sunday and so the path was revealing itself one step-at-a-time. In some ways it hardly seems like it has been 5 years and in other ways this journey has been a lifetime in the making. Within 45 days of this new adventure, I was hosting my first live-event. I didn’t really have $400 to invest in the venue but I couldn’t’ not do it either. The event was International Angel Day. Getting ready for this event, Jane, my assistant at the time, said to me … Terrie Marie I need something to market you? Talk about deer in the headlights — market me? What the hell? — “well, my friends and clients call me the Angel Lady, is that something you can market?” Yes and we moved forward. Time for my first ever live event … I was terrified … would anyone come, would I break even? … thankfully, the answer yes and yes! Then one day, email promoting a telesummit of some kind appeared in my email in-box. I took a chance and invested $47 in a paid program about how to write articles and start earning some money. There were done-for-you templates included as a bonus for signing up. Well, I already knew the templates were going to be useless because Angels and their messages don’t fit into templates … they just don’t. But I felt guided to take this course. After all I didn’t know anything about writing articles. Up to this point, the only things I had written were resumes and reports for my former bosses. I was still channeling Angel messages every day and emailing them my personal email account. My head was swimming with all the different elements and steps to writing and then I was supposed to be doing this two to three times a week and post to my blog! Blog? What was that? Where did I get one of those? Somehow I figured that out and on September 29, 2010, I posted my very first article on my very first blog. Talk about a labor of love and sheer determination … 10 hours later my blog and article were live! Gross income for the first 6 months was $13,000! Holy Crap! I was working 12-14 hour days, the learning curve was like climbing Mount Everest and it felt like I was still at basecamp just getting out of the &%$#$ tent! Fast forward to today and I am blessed to have been guided to the right coaches and had the support of friends and family. I still remember the day I told my parents about being on my own and my Mom said … “Maybe it’s time you went full-time.” Tears welled-up in my eyes …our relationship had been bumpy at best so to hear my Mom say something supportive and encouraging was very unexpected. It would be a flat-out, bold-faced lie if I told you it’s been easy of smooth every step of the way. it has been a journey of intense inner-growth, sleepless nights, tears, many Dark Nights of the Soul and lots of doubt about being able to make it on my own. We all have stories around money and why it is so damn (excuse my language) hard to manifest, figure out our purpose and do what we came here to do. Am I where I want to be? I am getting closer every day. I make no excuses nor defend myself for what I want and the impact I desire to help others make in their life AND to be very well compensated financially! #1 – Make a list of every negative thing you ever heard and feel about money. #2 – Stop telling whatever “whoa is me story” you are telling anyone who will listen … including yourself. I used to do that … and … when I’m really tired, running into an energy wall or at that take another leap of faith place, I catch myself starting to tell a worn-out “whoa is me story” and as soon as I recognize that, I start turning it around! Every day write out — don’t just say it or think it to yourself — 10 to 15 things you are grateful for right now and do this every single day! When you focus on what you do have, you raise your inner-vibration to seeing differently and changing your point of attraction. I’m re-structuring my pricing and I want to give you a hand-up. If you’ve been waiting for the right time to work with me to jumpstart financial prosperity and freedom in your life and business … then the 90-Day Prosperity Makeover may be the right fit for you. Or maybe you’ve thinking about becoming Certified Angel Dream Team Coach so you can start helping others connect with their Angel Dream Team. My fees are increasing 70% in 14 days. I can “hear” it now … but Terrie Marie your programs are already expensive and now you’re gonna raise them? Expensive compared to what … a life-skill of breaking through the glass ceiling pf self-sabotage and limiting beliefs and being able to earn and manifest 10, 20 or even 30% more a year than you are right now? What about the Certified Angel Dream Team Coach training? You could start teaching and coaching others how to activate their Angel Dream Team as an Angel Coach and get paid to do it! The average summer course at the University level is $2,000 and it doesn’t give you a marketable skill. Angel Dream Team Coach Certification is a six-month 1:1 intensive AND you’ll have a marketable skill at the end! I get it, these private 1:1 programs are a significant investment in you and in your future. What we’re really talking about are life skills that can catapult you and your potential earning power sooner rather taking years. Because I want to give as many women and men just life a hand-up, there are payment plans available. If I can go from not having a clue to making it on my own … so can you. Don’t know about you … BUT … I love saving money AND getting the biggest bank for my well-earned dollars! If you’re like me, even a little bit, you’ll want to be sure of what you’re getting, how it can really help you and get ALL your questions answered. I get it and I wouldn’t have it any other way. So let’s connect, get all your questions answered to see if this is a fit for you. Click here to book a Complimentary Exploration Session with me. To be clear, this needs to be a “fit” for both of us because I only work with people who are committed to a better life themselves and their families. There are only 14 days left to cash-in before the 70% increase begins. Please do take advantage of this opportunity click here for your Complimentary — no obligation — Exploration Session. This is it! These Complimentary Prosperity Breakthrough Sessions are coming to an end in less than 6 hours from right now! AND this special opportunity won’t be available for at least 6 or 7 months. That’s June or July of 2015! OMG! That’s the guidance I’ve received from my Financial Abundance Angel Team. I’m being nudged to close this down and stop accepting any more applications at this time. This is your chance to have 3 Financial Abundance Angels at your beck and call 24/7. It’s amazing to have your very own Team of Financial Advisers. Did you even know you could have a Special Team of Angels to help you weave through fear and doubt with grace and ease AND help you make decisions — the right and perfect decisions — for you and your business or career? I do and you can too! Now, before you start thinking or feeling like that’s great for someone else but not for you … think again! And here’s why… YOU are special enough and your Angel Team is waiting to connect with YOU! What else can they do for you besides help you make the right and perfect decisions for you and your business or career? Believe me, I ALWAYS listen to guidance. I learned the hard way and you know what … sometimes I get nudged more than once … but never more than a couple of times before I follow that guidance. So this is absolutely your LAST chance this year click here to get your complimentary — Prosperity and Abundance Breakthrough Session with me — or give me a quick call at 915-203-2531 — or don’t. Ps…. These complimentary sessions are going away, closing in less than 6 hours AND they won’t be offered again until June or July of 2015! Don’t miss your last chance this year click here now, or give me a quick call at 915-203-2531 to schedule your session today. Would you like to have 3 Financial Abundance Angels at your beck and call 24/7? It’s amazing to have your very own Team of Financial Advisers. YOU are special enough and your Angel Team is waiting to connect with YOU! My pre-Holiday offer for a Complimentary Prosperity Breakthrough Session absolutely ends in 12 hours so if you’ve been waiting for the right moment or until next time … why? If nothing else, you’ll get a really clear picture of what’s stopping you, and literally blocking your natural flow and holding your prosperity hostage. So take a really deep breath … 3 if you feel the need click here to get your complimentary — no cost to you — Prosperity and Abundance Breakthrough Session with me — and claim one of the remaining spots. Ps…. These complimentary sessions are going away, closing in 12 hours don’t miss your last chance this year click here now, or give me a quick call at 915-203-2531 to schedule your session today. My pre-Holiday offer for a Complimentary Prosperity Breakthrough Session absolutely ends today so if you’ve been waiting for the right moment or until next time … why? You know how some people — could be friends, colleagues or family — keep repeating the same tired “poor me” story of how hard life is and how they just can’t catch a break or worse just can’t seem to get ahead financially? I was watching the Amazing Race the other night and one couple, the woman kept saying over and over again this always happens, we just can’t catch a break! She was talking about getting a taxi-cab when they wanted one. Guess what she was manifesting over and over …. no taxi-cab for them without having to wait a really long time. You know what? I’m going to out myself! I used to be just like that. I mean YUK! The truly sad part is I didn’t realize just how badly I was crippling my own prosperity and Spirituality. Think about it, if someone — maybe you can relate to this — is always beating the same sad story of lack, guess what they’re going to keep right on attracting and manifesting? Exactly … more lack, disappointment, frustration, fear and doubt, which eats away at their self-worth, wondering if they’ll EVER get that break they pray for or repeat affirmation after affirmation to get out the whole they are in. I’m serious. Here’s what I used to say with tears streaming down my face — thank you Angels but it’s not enough — then one day I got it. I really got it deep down. What I got was … believing in myself, trusting that my Angels support me every step of the way. I’m still doing my part … meditation and gratitude journal every day, raising my inner-vibration and being consciously aware of my thoughts and emotions. So, if you’re ready, really in truly ready to ransom your abundance and Stop Holding Your Prosperity Hostage, click here to get your complimentary — no cost to you — Prosperity and Abundance Breakthrough Session with me.